We stop serving breakfast at 10:30am. 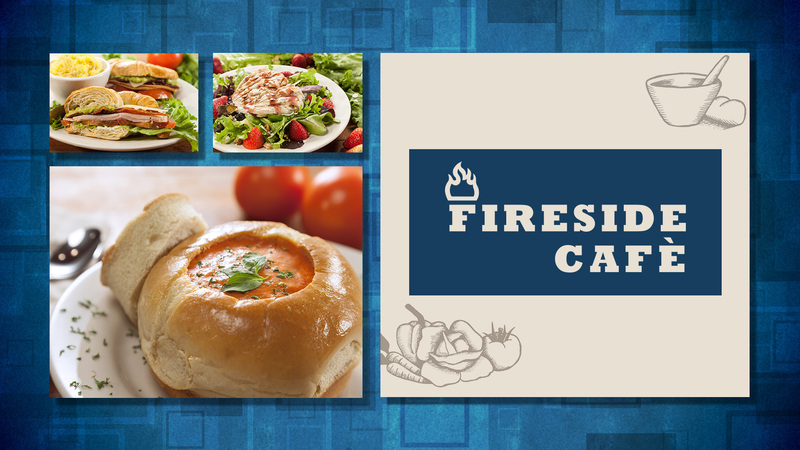 With a beautiful atmosphere where prayer before meals is in order and welcome, Fireside Café serves the Morningside community as well as our thousands of guests attending The Jim Bakker Show. For Breakfast, Lunch or Dinner, our café promises delicious meals with amazing fellowship! In addition to a fresh soup and salad bar, our full menu includes appetizers, burgers, sandwiches, soups and more for anyone looking for a freshly cooked meal!